January 24: 5 POWER Lessons From 5 Leaders Who Made History On This DAY! Benjamin Lincoln is an important figure of the American Revolutionary War, during which he was the major general of the Continental Army. Leaving behind a life of comfort and wealth, he dedicated his entire life to serve his country. Inspired by his father’s public life, he began his career as a town constable at the young age of 21. He later became an adjutant in the 3rd Regiment of the Suffolk County militia, eventually promoted as lieutenant colonel and finally major general of the Continental Army. Lincoln participated in the Boston Campaign, Battle of White Plains, Battle of Bound Brook, Siege of Savannah and Siege of Charleston. His career witnessed three major surrenders during the American Revolutionary War. He was a popular man, loved by his troops for his thoughtfulness and integrity. A man of strong conviction, he believed in his country and what it stood for. 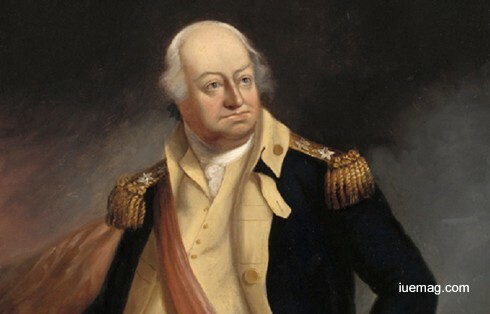 Although he had no formal military training, he proved his ability and earned his commission into the Continental Army and proved himself a very capable officer. Although Benjamin Lincoln was present at three of the major surrenders he would in fact contribute to the surrender of the British army under John Burgoyne, he would oversee the largest American surrender at the Siege of Charleston and at Yorktown, he was General George Washington’s second in command when the British formally surrendered. Ernest Borgnine was an American film and television actor who left an impressionable mark on the world of entertainment with his acting prowess, strong on-screen presence, sharp acumen and brilliant performances. He originally started his career in navy in 1935. After 10 years in service, Borgnine returned to Connecticut and continued his education enrolling at the Randall School of Dramatic Art in Hartford. He spent four years honing his craft at the Barter Theatre in Abington, Virginia. While there, Borgnine encountered his first professional acting experience, initially appearing in bit parts, and eventually graduating to starring roles. The young character actor soon landed a part on Broadway in the comedy Harvey, which led to appearances on New York television shows. In 1951, he headed west to Hollywood, where he made his feature debut in the docudrama The Whistle at Eaton Falls. In 1962, Borgnine was offered the lead in a new television comedy, McHale's Navy. The show quickly moved to the top of the ratings, and Borgnine had found his niche in television. In 1964, the success of the TV show spawned a full-length feature adaptation, which starred Borgnine in the title role. 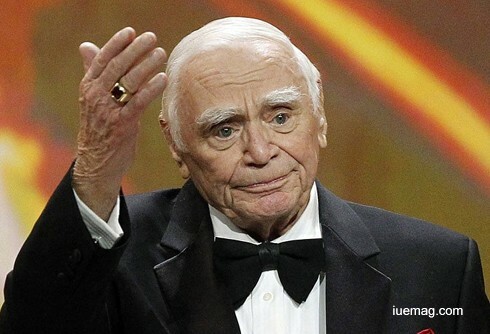 Six decades, almost 100 films and 30 television series later, Borgnine is among the best actors of the millennium. He won an Academy, a BAFTA and a Golden Glove Award. Interestingly, Borgnine defied his age at every juncture of his career. In 2007, he became the oldest Golden Globe nominee ever for his performance in the film, ‘A Grandpa for Christmas’. Two years later, at 92, he earned an Emmy nomination for his work on ‘ER’. Robert Motherwell, an American painter, was one of the founders and principal exponents of Abstract Expressionism; he was also among the first American artists to cultivate accidental elements in his work. 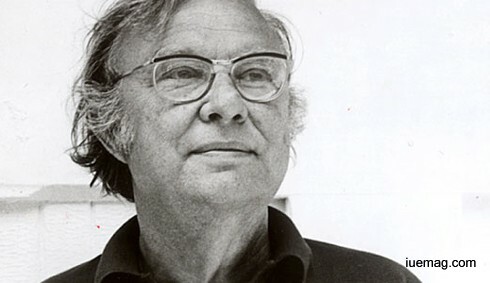 Possessing perhaps the best and most extensive formal education of all the New York School painters, Robert Motherwell was well versed in literature, philosophy and the European modernist traditions. Robert Motherwell was a principal member among the group of artists who created and popularized ‘Abstract Expressionism’; a theme that broke conventional art methods. His paintings, prints and collages feature simple shapes, bold color contrasts and a dynamic balance between restrained and boldly gestural brushstrokes. They reflect not only a dialogue with art history, philosophy and contemporary art, but also a sincere and considered engagement with autobiographical content, contemporary events and the essential human conditions of life, death, oppression and revolution. His intellect not only supported him as an artist, but allowed him to progress as one among the most prominent writers, editors and advocates of the superior post war movement known as the ‘New York School’. His role in incorporating integral concepts like psychoanalysis and automatism in discussions involving American Abstraction was pivotal. Through his lectures and publications, he became an unofficial spokesman and interpreter for the Abstract Expressionist movement. His most popular works include his art series ‘Open’ and 'Elegy to the Spanish Republic'. 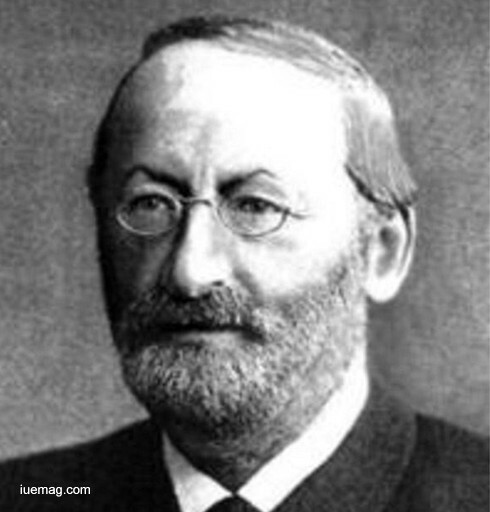 Ferdinand Cohn, in full Ferdinand Julius Cohn, was a German naturalist and botanist known for his studies of algae, bacteria, and fungi. He is considered one of the founders of bacteriology. A child prodigy, he entered the University of Breslau to study botany at the age of 16. A hearing defect slowed his progress in school and contributed to his shyness and sensitivity as a young man. Still, in 1842, he was able to enter the University of Breslau. Influenced by his professors, Cohn developed an interest in botany. However, because of his Jewish background he was not allowed to write his final examination. He shifted to a more liberal University of Berlin and at the age of nineteen, he received his doctorate in botany. His thesis dealt with the concept that each country must establish institutes for plant physiology. Subsequently, he went back to Breslau to take up a teaching job at the Breslau University and remained there till his retirement. However, he became more renowned as a researcher. He first started working with algae and established that protoplasm contained the basic characteristics of all life. He then established the existence of sexual process in those unicellular organisms. Later, he concentrated on bacteria and classified them under four groups. His discovery of endospores in Bacillus subtilis is another of his important achievements. During his lifetime, he published more than 150 research reports. Under him, the University of Breslau became an innovative center for plant physiology and microbiology. Frederick II, byname Frederick the Great, German Friedrich der Grosse, king of Prussia (1740–86), was a brilliant military campaigner who, in a series of diplomatic stratagems and wars against Austria and other powers, greatly enlarged Prussia’s territories and made Prussia the foremost military power in Europe. The third king of Prussia, he ranks among the three dominant figures in the history of modern Germany. Under his leadership, Prussia’s territories were greatly increased and its military strength displayed to striking effect. From early in his reign Frederick achieved a high reputation as a military commander, and the Prussian army rapidly became a model admired and imitated in many other states. He also emerged quickly as a leading exponent of the ideas of enlightened government, which were then becoming influential throughout much of Europe; indeed, his example did much to spread and strengthen those ideas. Notably, his insistence on the primacy of state over personal or dynastic interests and his religious toleration widely affected the dominant intellectual currents of the age. More than his younger contemporaries, Catherine II the Great of Russia and Joseph II in the Habsburg territories, it was Frederick who, during the mid-18th century, established in the minds of educated Europeans a notion of what “enlightened despotism” should be. His actual achievements, however, were sometimes less than they appeared on the surface; indeed, his inevitable reliance on the landowning officer (Junker) class set severe limits in several respects to what he could even attempt. 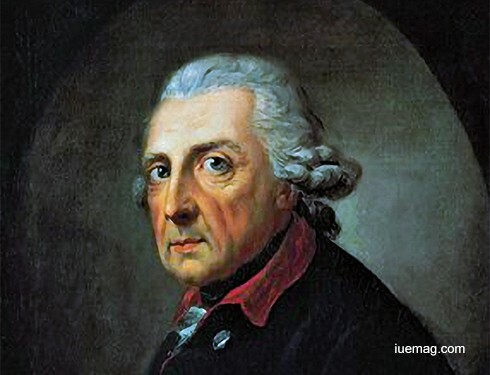 Nevertheless, his reign saw a revolutionary change in the importance and prestige of Prussia, which was to have profound implications for much of the subsequent history of Europe. Any facts, figures or references stated here are made by the author & don't reflect the endorsement of iU at all times unless otherwise drafted by official staff at iU. This article was first published here on 24th January 2017.